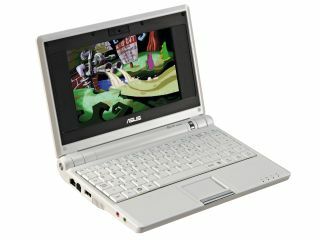 Asus’ chairman Jonney Shih has said that he expects the majority of his company’s much coveted sub-notebook to ship with Windows XP during 2008. “About 60 per cent of them will have Windows XP operating system," Mr Shih told a news conference. Reuters reports that Asus is sticking to its target of shipping five million Eee units in 2008, compared to the 700,000 it sold in 2007. An Asus spokesperson has said that demand for the laptop is highest in Europe, followed by Asia Pacific and China. Industry analysts are in agreement that the move will help to drive sales of the Eee in the Windows dominated computer sector. “A Windows Eee PC is more attractive to buyers because people are just not used to using Linux-based computers," Alvin Kwock, an analyst at JP Morgan is quoted as telling Reuters. In related news Mr Shih also confirmed that the company was looking to move some of its contract manufacturing operations to Vietnam, although he declined to give a date or timescale.